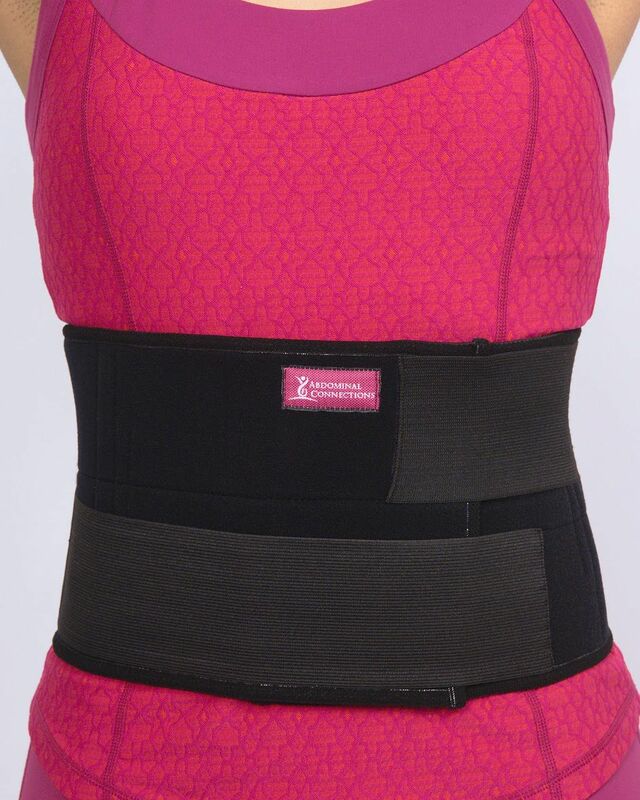 AC Recovery Binder – for postpartum and post diastasis recti abdominal support. 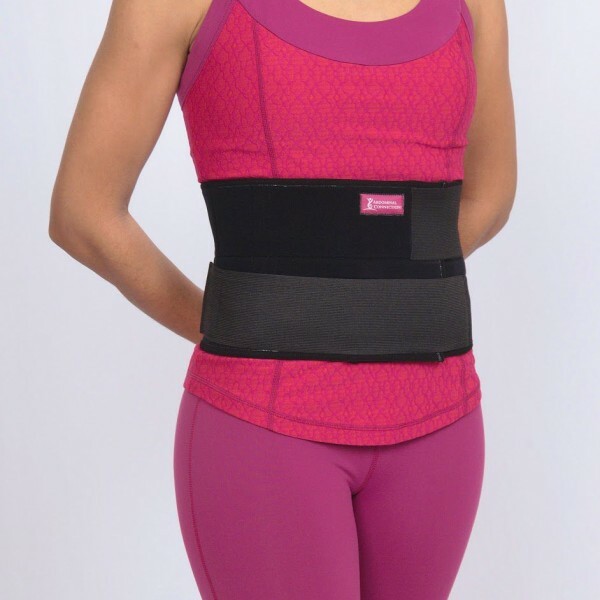 Our exclusive AC Recovery Binder was created to support the abdominals postpartum and post recovery from diastasis recti. 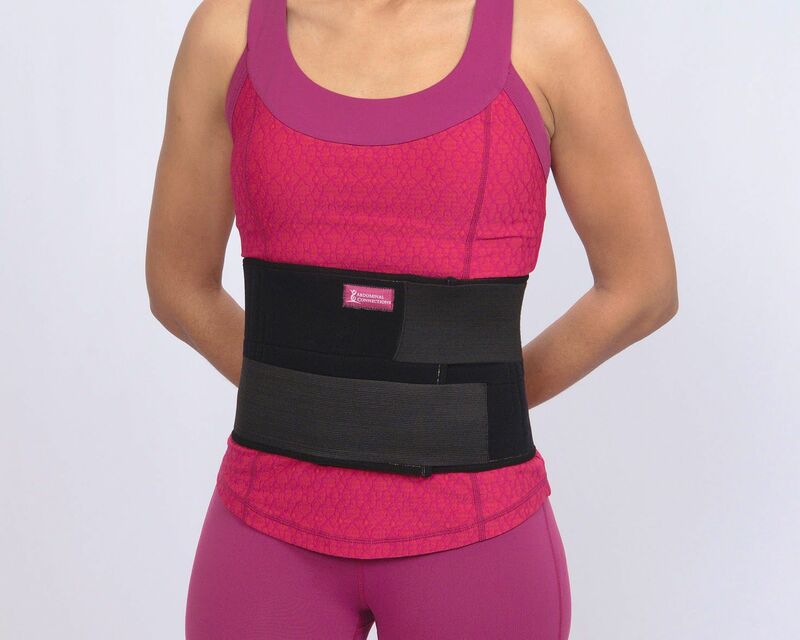 It focuses mainly on the midsection around the navel where postpartum women need the most support and where the diastasis gap is widest and takes the longest to heal. 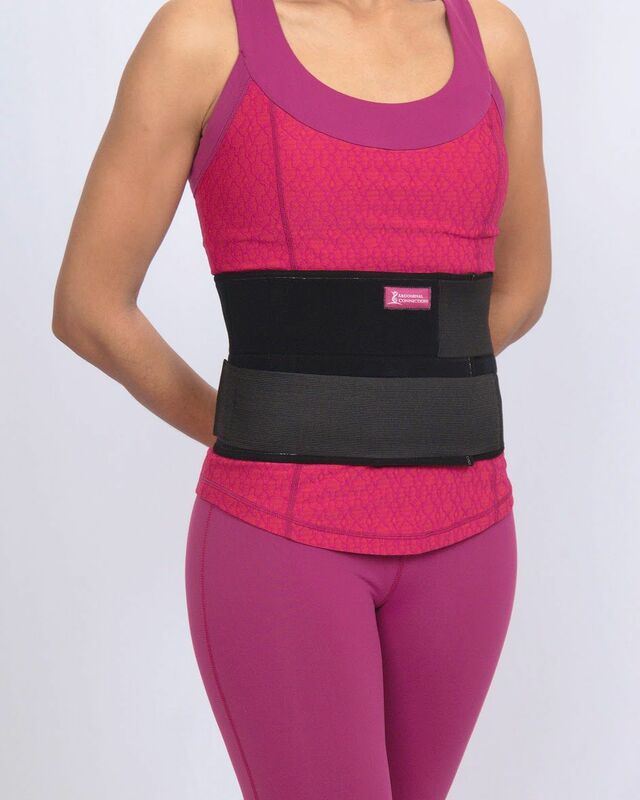 The AC Recovery Binder can reinforce the newly mended muscle and assists you as you take on new fitness routines, or anytime you feel you might need a little extra support moving forward. My first impression was that this binder is solid! It is thick and well-made (which also means it’s warm). After wearing it around the house for a few days, I could already see an improvement in my abdominal muscles (coupled with a healthy diet and 10,000 steps per day). My pants fit better and my skin was tightening. My only complaint is not starting this sooner! Now 7 months pp, I’m late to the game, but it’s still effective. Identify the inside and outside of the AC Recovery Binder by locating the silicone strip that runs along the inside. Place the silicone strip side behind your back and grab both ends of the binder (try to keep the binder even on both sides). Bend your knees and pull the navel in and back as deep as you can to find your abdominal Connection. 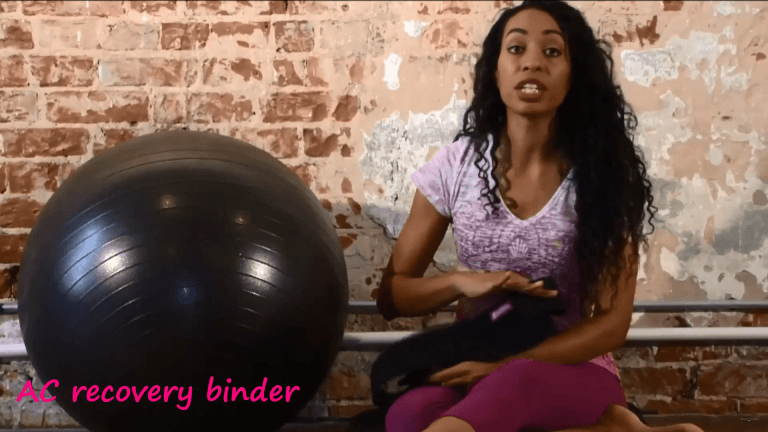 Grab the binder on either end, making sure to hold the binder material and not the thick elastic that extends. e.g. If the elastic is on top, hold the bottom end. 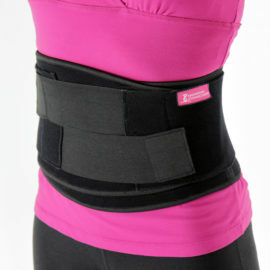 Pull the binder tight around you waist. Use your hand to pull and fasten the top elastic first, then switch hands and hold the bottom in place to pull and fasten the bottom elastic (the bottom should be pulled slightly tighter than the top to keep even pressure).